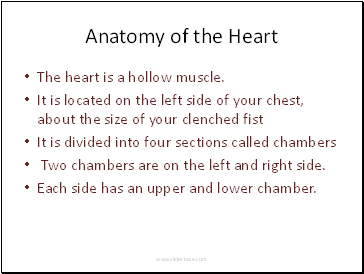 The heart is a hollow muscle. 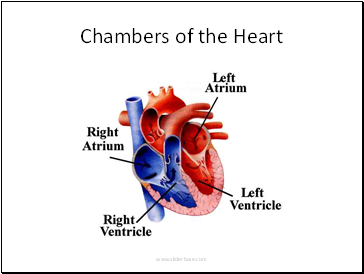 Two chambers are on the left and right side. Each side has an upper and lower chamber. 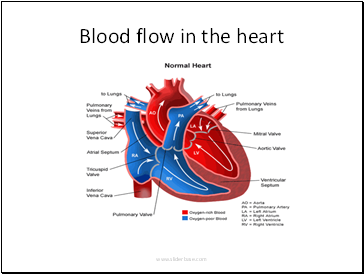 The right upper receives blood from the body. 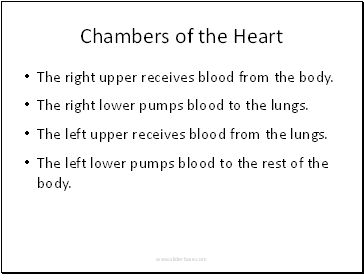 The right lower pumps blood to the lungs. 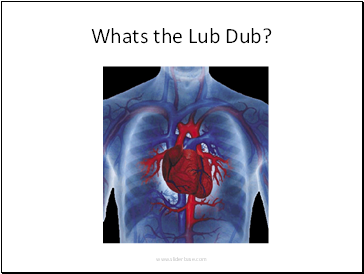 The left upper receives blood from the lungs. 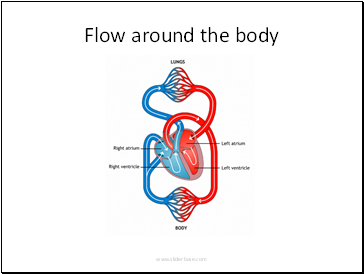 The left lower pumps blood to the rest of the body. 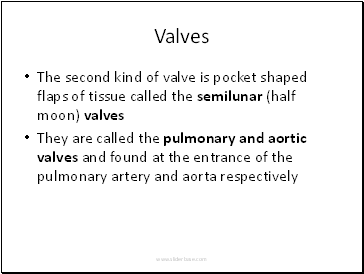 There are two kinds of valves in the heart. 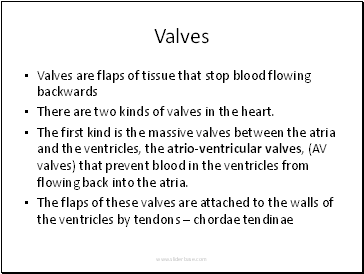 The first kind is the massive valves between the atria and the ventricles, the atrio-ventricular valves, (AV valves) that prevent blood in the ventricles from flowing back into the atria. 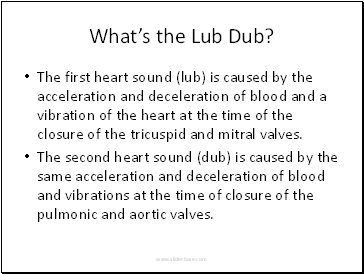 The first heart sound (lub) is caused by the acceleration and deceleration of blood and a vibration of the heart at the time of the closure of the tricuspid and mitral valves. 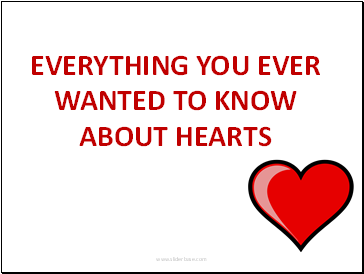 The second heart sound (dub) is caused by the same acceleration and deceleration of blood and vibrations at the time of closure of the pulmonic and aortic valves.